Bring your family and friends to this event to kick off the holiday season! 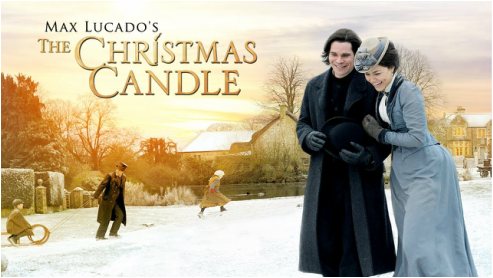 From bestselling author, Max Lucado, comes THE CHRISTMAS CANDLE, a timeless holiday film that is sure to touch the hearts of people of all ages. Deep in the heart of the English countryside lies the enchanting village of Gladbury. Legend has it that every 25 years an angel visits the village candlemaker and touches a single candle. Whoever lights this candle has come to expect a miracle on Christmas Eve. But in 1890, at the dawn of the electric age, this centuries old legend may come to an end. When David Richmond, a progressive young minister, arrives in Gladbury, the villagers discover miracles happening through random acts of kindness. While David’s quest to modernize Gladbury sets him at odds with the old world candlemaker, he finds an unlikely ally in the lovely skeptic, Emily Barstow. Now, the fiery candlemaker must fight to preserve the legacy of the Christmas Candle. But when the candle goes missing, the miraculous and the human collide in the most astonishing Christmas the village of Gladbury has ever seen. 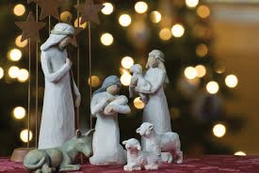 O Holy Night, Go Tell It on the Mountain, Angels We Have Heard on High, O Little Town of Bethlehem, Hark the Herald Angels Sing, Silent Night and many more! 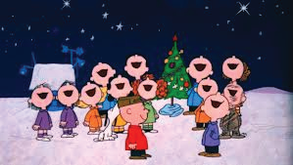 Grab a peppermint-infused hot chocolate and gather around the piano as we join our voices in the singing of cherished Christmas carols celebrating the birth of Jesus. Bring an empty tummy and your Christmas baking, appies or dessert and come along to our festive annual potluck Christmas get-together as we celebrate the Reason for the Season! December 31: New Year's Eve celebration! We'll ring in the new year together at Neil & Virginia's home. Please bring a dish, dessert, appy to share.